Our SX™ Tambourines are general-purpose concert instruments specifically designed for those looking for a value-priced, quality concert tambourine. Fabricated from wood fiber, the Acousticon™ shell is formed under heat and pressure creating a strong, durable frame. Pre-tensioned heads made from durable Fiberskyn™ material are chosen for their strength and tension stability. 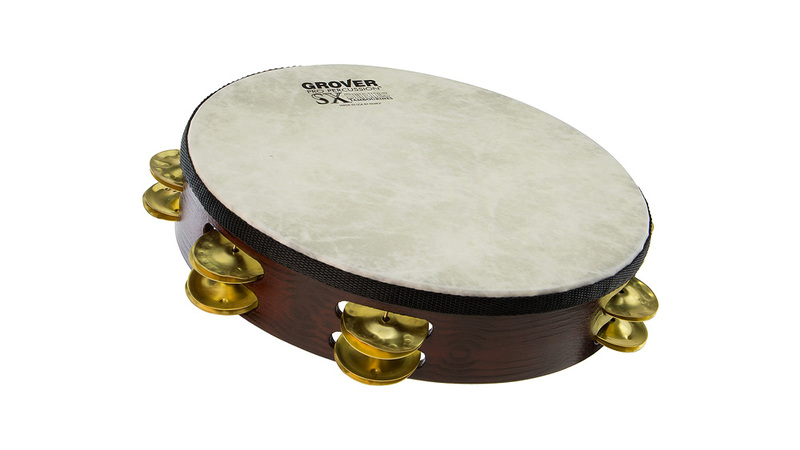 SX-BR features brass jingles that produce clear mid-range sonorities. A very popular model, this instrument is suitable for all genres of music. SX-GS is a brighter sounding model that both projects and articulates. Perfect for those who desire a value-priced instrument that has brilliant sound profile. SX-SB combines the qualities of both our silver and brass jingles. It produces a clear sound that is both resonant and articulate. A great choice for schools needing a single “do-all” instrument. Note: The Roll Ring is not compatible with this tambourine. Acousticon™ and Fiberskyn™ are trademarks of Remo Inc.